The nylon dog collars Club have a very simple and essential design, they are available in five different dimensions which perfectly adapt to dogs of all sizes, from the smallest to the bigger ones. 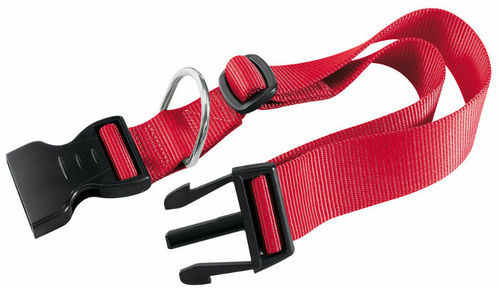 They have a solid plastic latch and are easy to adjust thanks to their special sliding plastic buckle. The dog collars Club, besides the classic versions with colours like black, red and blue, are also proposed in the new colours pink, orange and brown.